How Can NLP Help Your Coaching Skills? Find out more! How can NLP help with Coaching? 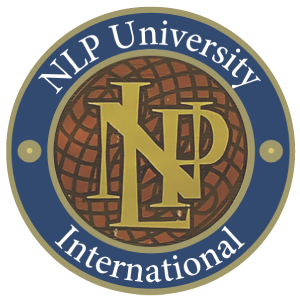 Home » NLP School blog » How can NLP help with Coaching? In my previous blog, I talked about what coaching is and how, at a general level, it works. 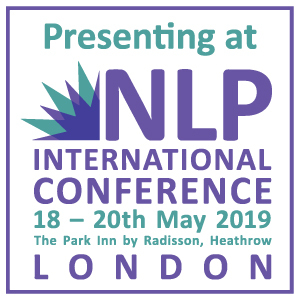 Now I want to be more specific, and look at the relationship between coaching and NLP, an area I have worked in for many years. I believe very strongly that both have a great deal to contribute to each other. 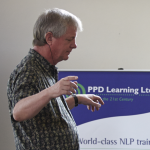 What does coaching gain from NLP? Coaching has been described as a ‘dance led by the client’. In a good dancing partnership, the follower ‘picks up the lead’ – they subtly read signals from the dancer taking the lead and act on them appropriately. The same is true in coaching. However there is not enough material in coaching training on the basic mechanics of this process. How exactly does the coach ‘pick up the lead’ from the coachee (the person being coached)? NLP provides an excellent answer, with its range of Rapport techniques. These can be quite simple, like matching someone’s pose, or much more subtle, like matching the pace of their breathing or their use of language. For the coach, these provide a royal road into the inner world of the client. Much of this comes via intuition – I’ve lost count of the number of times when coaching clients and using rapport techniques, I suddenly understand where they are ‘coming from’ (I then, of course, check that I am right). An NLP-aware coach can also ‘learn the coachee’s inner language’ by calibrating their gestures and expressions, finding out what each one means for the coachee. When coach and client see the need for change, NLP provides a huge range of tools to make this happen. Sadly, deep change in human beings is not just brought about by a realisation of the need for it: people almost always need some kind of process to bring that about. NLP has created, tested and refined a huge number of such processes to cover almost any conceivable coaching requirement. I also believe that the presuppositions of NLP contain beliefs that are, at a general level, very helpful for the coach. (For readers not familiar with NLP, the presuppositions are a set of beliefs that underlie the practice. They are the first things I teach students). I will only mention a couple here, but they all contain useful messages for the coach. The first is that ‘mind and body are one system’. Hence the importance of – and reliability of – physical signals. Coaching (and therapy) can easily become purely verbal, but this is only tapping into part of who we are. Physical gestures can later be used as part of a healing process. Another presupposition is the one that ‘behind every behaviour there is a positive intention’. This can enable you – and your client – to look at dysfunctional behaviour (in self and others) in a new way. “What are you trying to achieve when you do x? Can you find a way of achieving that in a more positive way?” This kind of questioning can help people break out of long-lasting circles of damaging behaviour or thought patterns. 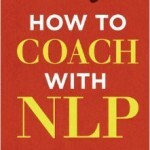 What can coaching bring to NLP? Coaching provides a clear structure for the change process: the form of the sessions, the contract between client and coach, timings, settings and even costs. Coaching puts the client at the heart of the process. This is where the client belongs, but sadly NLP is sometimes carried out in a different spirit, where the client has clever things done to them by a charismatic and sometimes aggressive individual. Such fixes are inevitably short-term: lasting change comes from within (encouraged and assisted from outside) rather than is imposed from outside. The coaching framework ensures the client stays in charge. Plus, coaching provides professionalism. 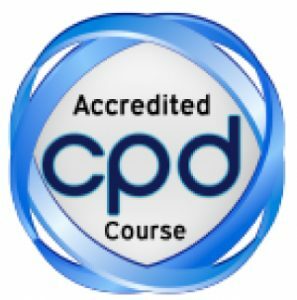 Coach training and accreditation is a rigorous process, and as such provides security for clients and a professional code for coaches. Beyond professionalism, coaching provides an ethical framework. Part of the excitement of NLP lies in its decentralised, ‘let a hundred flowers bloom’ approach – but the catch to this is a lack of an overarching agreement of what constitutes ethical practice. Coaching provides such an agreement. I get enormous enjoyment from this two-way flow of benefit between two disciplines that I am passionate about but which both, on their own, have potential weaknesses. Like the best kind of human relationship, coaching and NLP support one another without apparent effort, because they are naturally complementary. It is a pleasure to bring them together. NLP’s presuppositions, coaching and how it all fits together. I learnt a lot about how best to communicate with others – but also how to communicate with myself, too, in terms recognising my limiting beliefs and the language I use when thinking about my future. Very much appreciate this – thank you.